Social insect colonies need to explore and exploit multiple food sources simultaneously and efficiently. At the individual level, this colony-level behaviour has been thought to be taken care of by two types of individual: scouts that independently search for food, and recruits that are directed by nest mates to a food source. However, recent analyses show that this strict division of labour between scouts and recruits is untenable. Therefore, a modified concept is presented here that comprises the possible behavioural states of an individual forager (novice forager, scout, recruit, employed forager, unemployed experienced forager, inspector and reactivated forager) and the transitions between them. The available empirical data are reviewed in the light of both the old and the new concept, and probabilities for the different transitions are derived for the case of the honey-bee. The modified concept distinguishes three types of foragers that may be involved in the exploration behaviour of the colony: novice bees that become scouts, unemployed experienced bees that scout, and lost recruits, i.e. bees that discover a food source other than the one to which they were directed to by their nest mates. 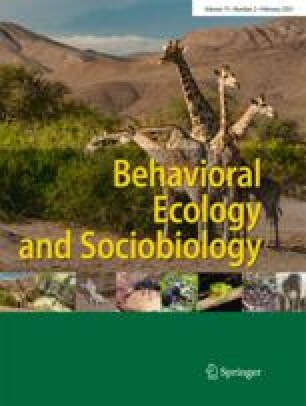 An advantage of the modified concept is that it allows for a better comparison of studies investigating the different roles performed by social insect foragers during their individual foraging histories.